Several British agents have been murdered and James Bond is sent to New Orleans, to investigate these mysterious deaths. Mr. Big comes to his knowledge, who is self-producing heroin. Along his journeys he meets Tee Hee who has a claw for a hand, Baron Samedi the voodoo master and Solitaire and her tarot cards. Bond must travel deep inside New Orleans, through marshy grass and on water as he completes his mission. Around the time Roger Moore got the part of James Bond, his home telephone number allegedly ended in the digits 007. 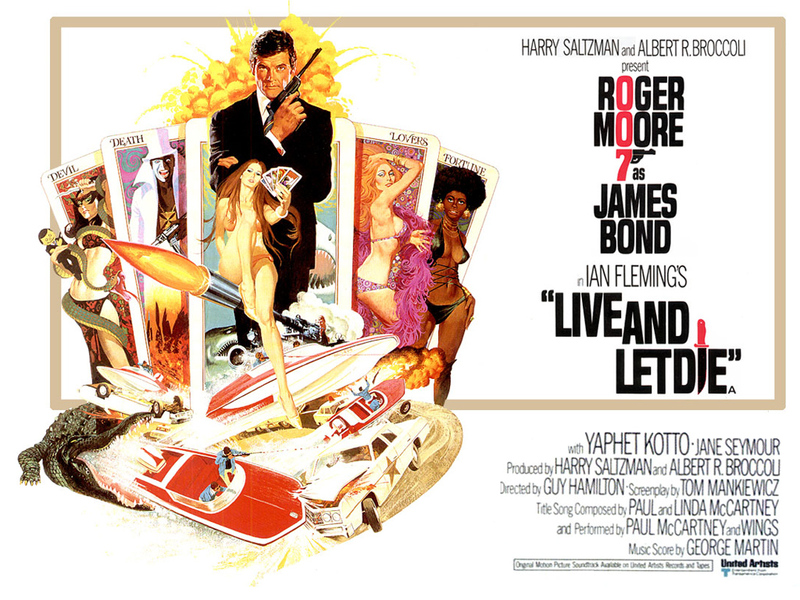 Title Song by Paul McCartney & Wings "Live And Let Die"